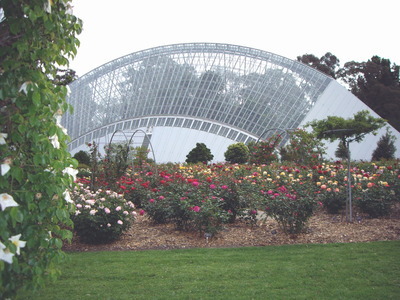 Another one of Adelaide's hidden jewels, the Bicentennial Conservatory was built in 1988 to mark 200 years of Australian settlement. 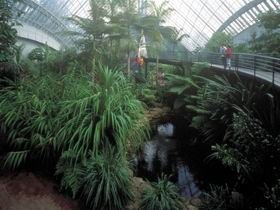 Resembling a tropical rainforest, the conservatory is an exciting place to visit any time of year. This incredible structure is dedicated to the preservation of many tropical plant species from places like Papua New Guinea and far northern Australia. Many of these precious species are in danger of losing their natural habitats and you can help keep these incredibly beautiful plants alive by visiting places like this. The humidity is the first thing you notice, but it's not at all uncomfortable as you meander through the rainforest groundcover and wind your way all the way to the treetops. Open from 10am to 4pm daily and until 5pm during daylight savings, the conservatory is a fascinating place to visit and a great place to take the kids for an interesting and educational day out.